There are so many conflicting studies regarding the one of the world’s most popular drinks: coffee. Some say it causes insomnia; others say it might help you live longer. The general consensus is that coffee, like most things, is healthy in moderation. But one new claim is that coffee might impact your body’s magnesium supply. “There are a few very anecdotal studies that show that when you drink coffee, the intestinal lining actually has a drop in its ability to absorb magnesium,” says Dr. Niket Sonpal, an internist and gastroenterologist. He says some research has found an association between people who drank lots of coffee and magnesium deficiency, Well and Good reports. Of course, there are tons of if’s and’s and but’s when it comes to this coffee criticism. The first thing to note is that coffee doesn’t directly cause a magnesium deficiency. "The coffee isn’t leeching the magnesium out,” Sonpal explains. 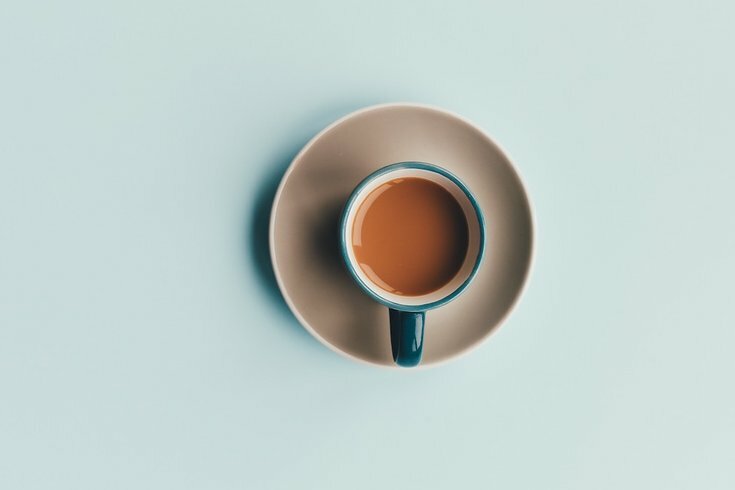 “The coffee itself [may reduce] your intestine’s ability to absorb [magnesium], which over time can result in a magnesium deficiency.” Another thing to keep in mind: Many of these studies are small or performed on rats, so the relationship still needs more study. The good news? As long as you eat a generally healthy diet, you probably won’t become magnesium-deficient. Some symptoms of magnesium deficiency, according to Women’s Health, include: tingly fingers and toes, flu-like symptoms, having a seizure without a seizure disorder, muscle cramping, mood changes, faster heart beat and constipation. As for magnesium-rich foods that will allow you to keep up your current coffee habits without being depleted, you'll want to reach for foods packed with dietary fiber, including dark leafy greens, nuts and seeds, salmon and tuna, soybeans and edamame, avocado, bananas, dark chocolate and low-fat yogurt, according to Everyday Health. You also don’t want to make the mistake of simply popping a magnesium supplement without talking to your doctor first because, just as too little magnesium can be an issue, too much can be as well. Though it is rare in healthy individuals, Medical News Today assures. If the body has absorbed too much magnesium, a person may notice any of the following symptoms, which can range from mild to very severe: lethargy, facial flushing, diarrhea, nausea, stomach cramps, vomiting, depression, muscle weakness, low blood pressure, urine retention, breathing difficulties and cardiac arrest.